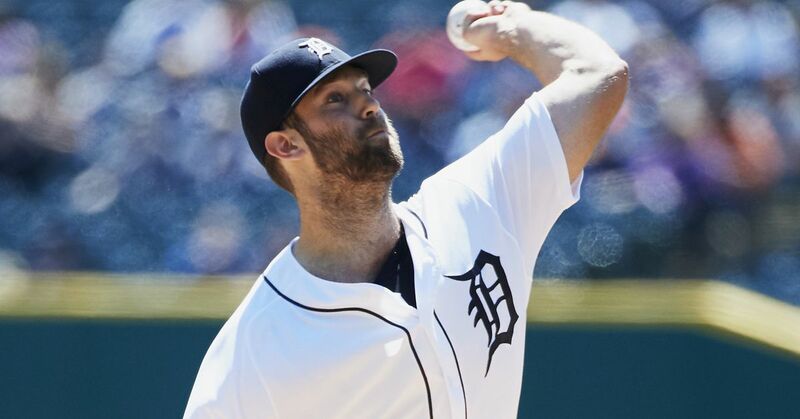 The Tigers lost a player, added a lightning-rod to the active roster, saw two starting pitchers make their 2012 debuts (one a MLB debut), watched in stunning horror as they lost a game started by Justin Verlander, and are trying to ride out a 0-for-17 slump by one of their superstars. It was quite a Week-After-Opening Day. Outfielder Clete Thomas was lost to the Minnesota Twins via waivers, and on Saturday the Tigers activated IF Brandon Inge from the DL. Drew Smyly lasted four innings in his maiden MLB start, but pitched pretty well. Adam Wilk started Saturday and did OK. But it was Verlander’s shocking loss, midweek, that had Tigers fans everywhere buzzing. Taking a one-hit shutout into the ninth against Tampa, JV got away from what had been working, got over-excited, and was tagged with four runs as the Rays beat him, 4-2. A 5-0 start for the Tigers looked imminent when Verlander strode to the mound to start the ninth, but it didn’t take long for the Rays to kick up their heels in a half inning that seemed to last forever (actually, over 35 minutes). When the dust settled, the Rays scored four runs off Verlander, Daniel Schlereth and Jose Valverde. Count MMM among the stunned. But the Tigers bounced back with a win the next day to go 5-1 on their season-opening home stand. MMM likes Rick Porcello, who made two terrific starts last week: 14.2 IP, 3 ER. He salvaged a game in the White Sox series, after taming the Rays on Tuesday. Porcello, if he can pitch like this, will be an enormous lift to the Tigers’ cause. MMM doesn’t expect results quite this good, but the starts were nonetheless encouraging for a kid trying to find consistency in his performance. MMM was gleeful, watching Ricky-Por turn the White Sox bats into limp noodles. How many tappers to the mound did Porcello induce? Seemed like 10. Honorable mention: Backup catcher Gerald Laird, who had three hits (including a home run) filling in for Alex Avila during Sunday’s win. As mentioned above, Cabrera is 0-for-17 lately, but MMM just can’t name him GOTW. That dishonor goes to southpaw Schlereth, who can’t seem to get anyone out this year—not even lefty batters. Mark’s kid poured gas on Verlander’s start, and just hasn’t been very good. At all. Frankly, MMM is losing patience with Mr. Schlereth, because if he can’t retire lefties, then what good is he? Oh come on; you need MMM to tell you? Why, Brandon Inge, of course! MMM isn’t crazy about naming Inge, either, because of fatigue over the Man You Hate to Love. But MMM would be derelict in his responsibilities if he didn’t name Inge, coming off the DL and ready to play, for better or worse. You know the drill. Inge plays, Inge enrages, Inge comforts, Inge smirks, Inge is defiant. He was the DH on Sunday (hold the jokes) but figures to rotate at second base with Ramon Santiago and Ryan Raburn. A three-headed monster at second base? As of now, yes. A three-game set at Kansas City is this week’s opening act. The REAL excitement should be at CoPa, when the two-time defending AL Champion Texas Rangers invade on Thursday for four super-charged games. What an early season treat! MMM can’t wait to see this ALCS re-match. Verlander will go on Saturday, in case you were wondering. He opens the Royals series tonight. As for the Royals, the Tigers ought not overlook them. KC is brimming with young, up-and-coming talent, and MMM feels that finally, the Royals are getting it right. That’s all for this week’s MMM. See you next Monday!